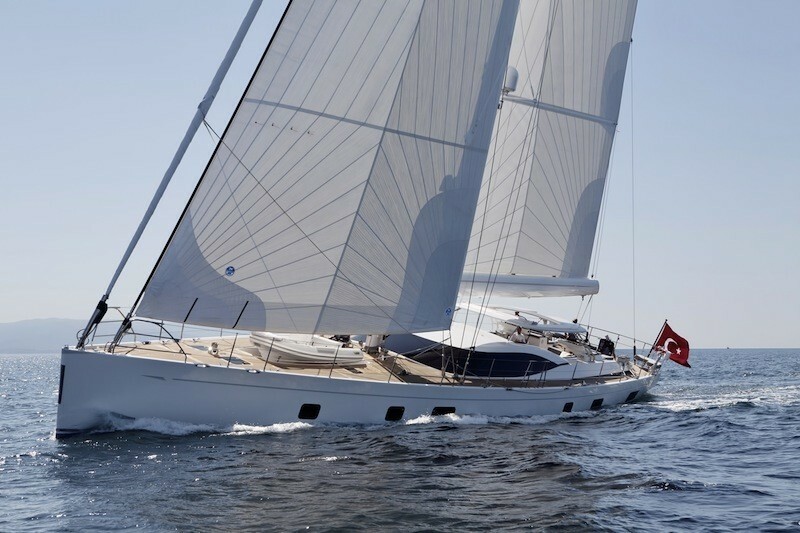 Launched by RMK Marine in 2012, the beautiful superyacht PENELOPE is the second Oyster 100 vessel, developed by the prestigious UK Company, Oyster Yachts. 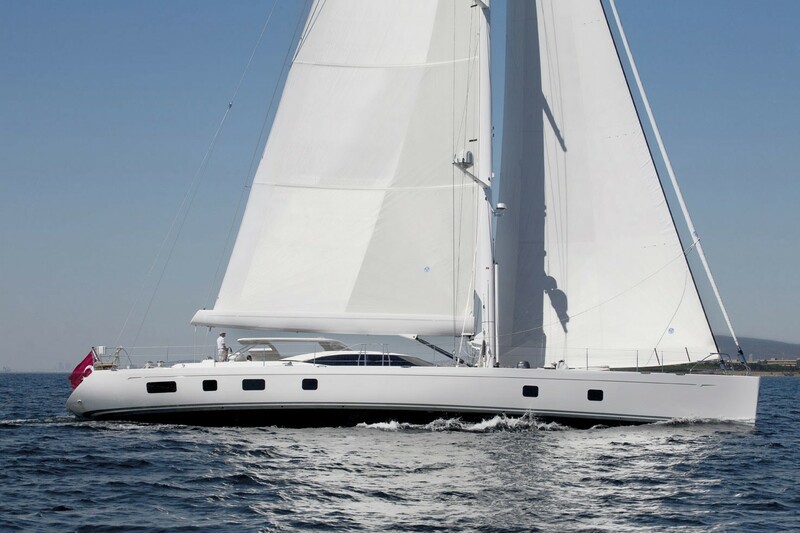 The 30.7m (101ft) sailing yacht PENELOPE is designed by well-known Dubois Naval Architects and offers deluxe accommodation for 8 guests in 3 en-suite cabins. 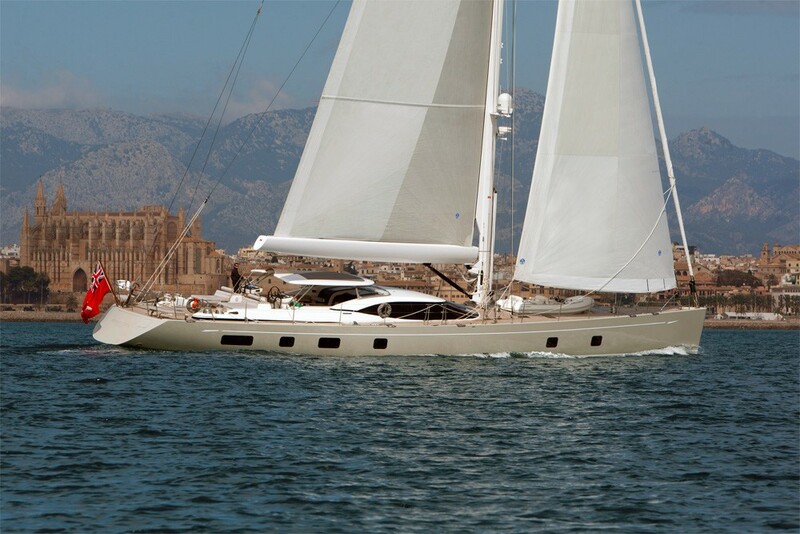 Service aboard this spectacular vessel is provided by a friendly and dedicated crew of 4. 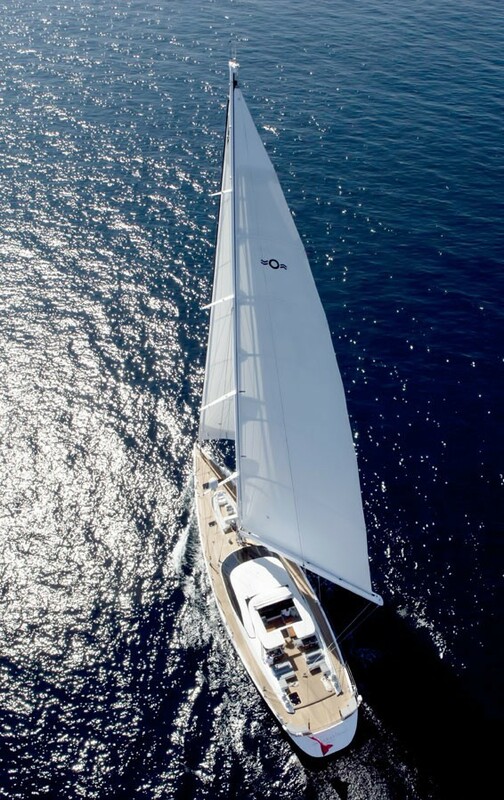 Sailing sloop PENELOPE boasts a performance hull with a sports rig, carbon spars and Spectra Carbon sails, she is a powerful yacht, yet her design enables for efficient operation and optimum comfort. 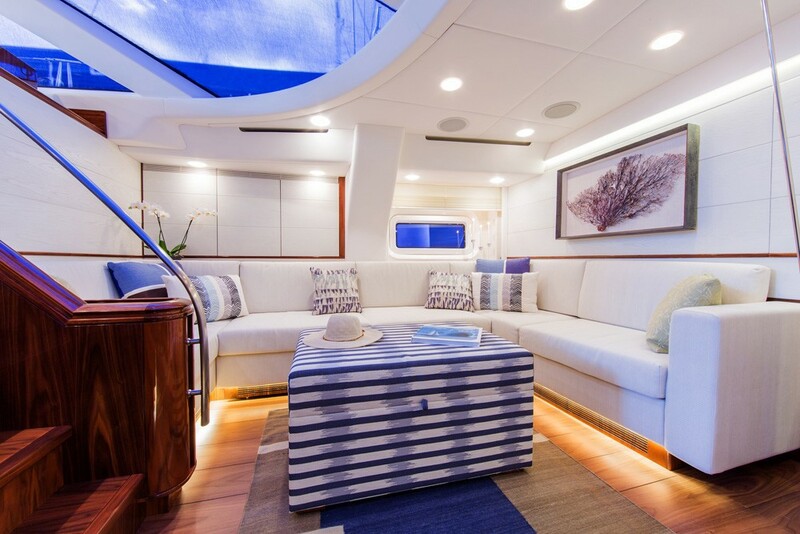 Sailing yacht PENELOPE offers an elegant interior, boasting exquisite walnut joinery, the sense of space is breathtaking, a true testament to the design team. 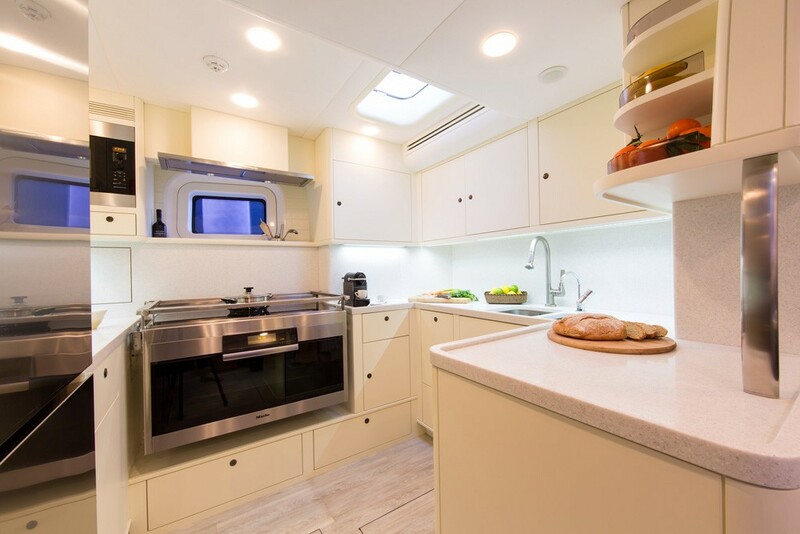 There are 2 salon areas. 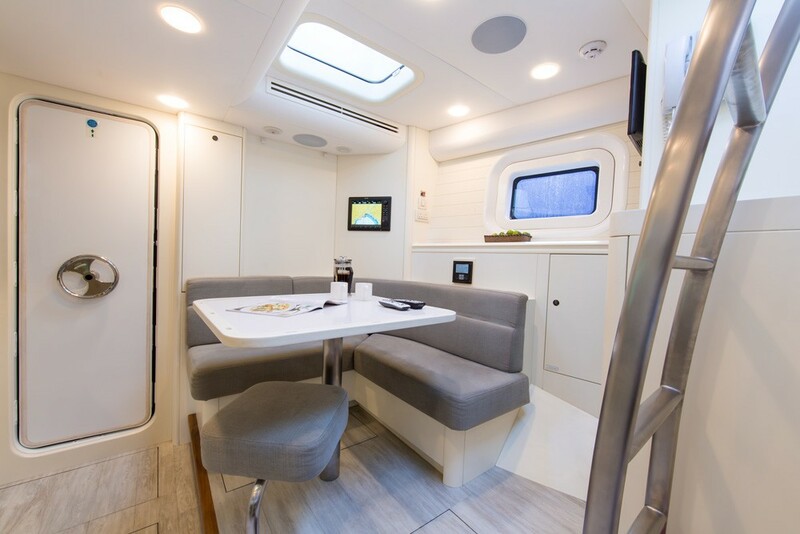 The upper salon offers comfortable lounge seating and the formal dining table, with surrounding panoramic windows, guests are presented with fabulous views and plenty of natural light. 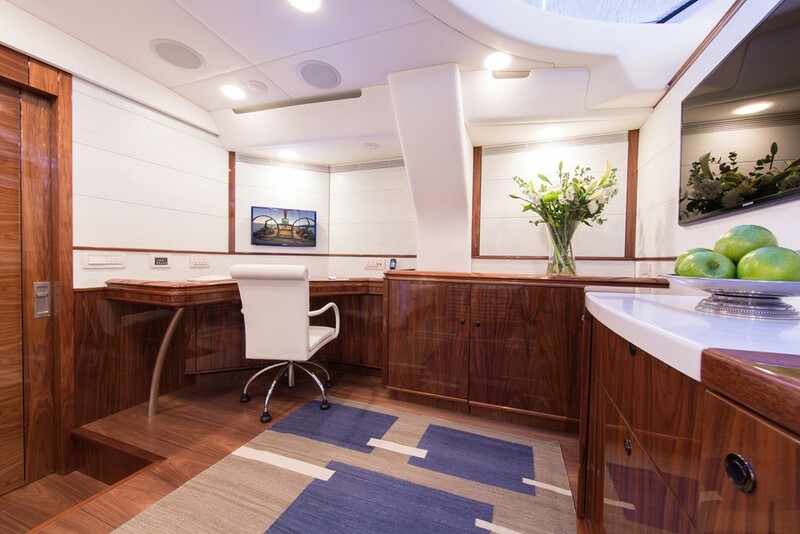 Further forward and below decks, a generous second salon offers an additional lounge and entertainment system. 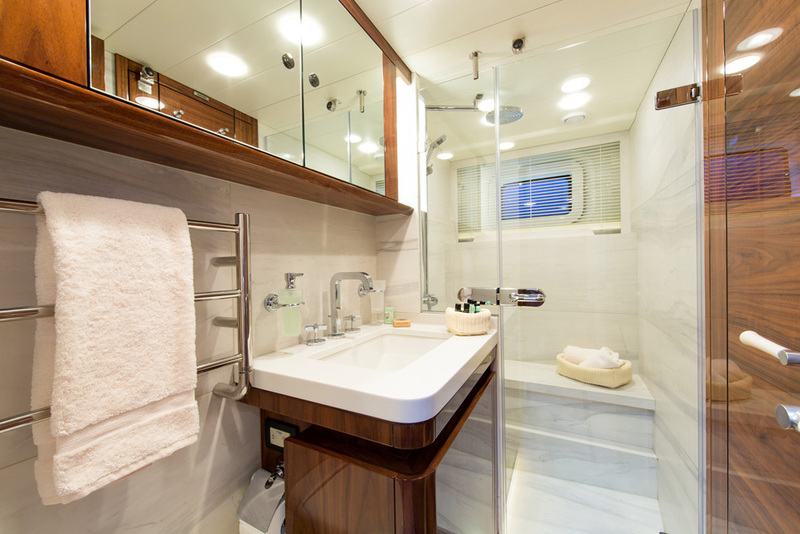 Guest accommodation is below decks aft of the salon, in 3 en-suite cabins. 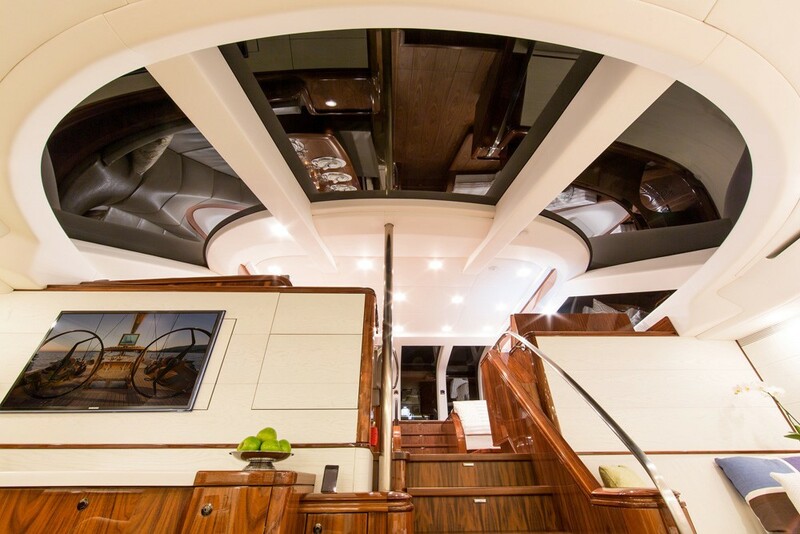 Innovative design features such as the floating interior, allows for limited noise and vibration. 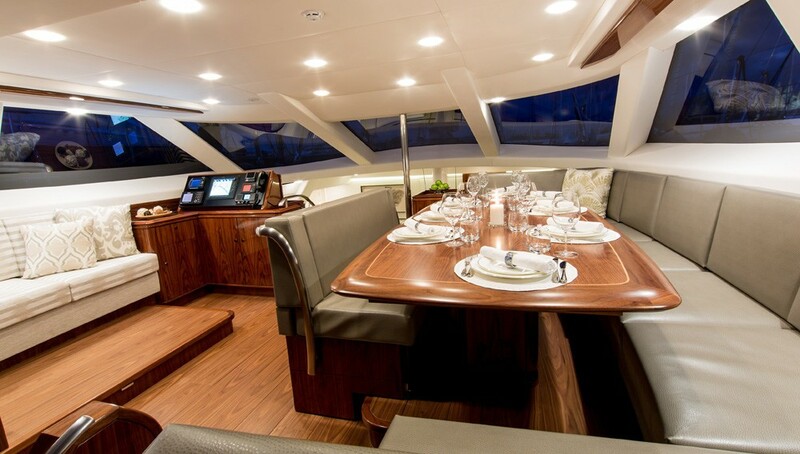 Crewed charter yacht PENELOPE offers ample exterior teak decking. 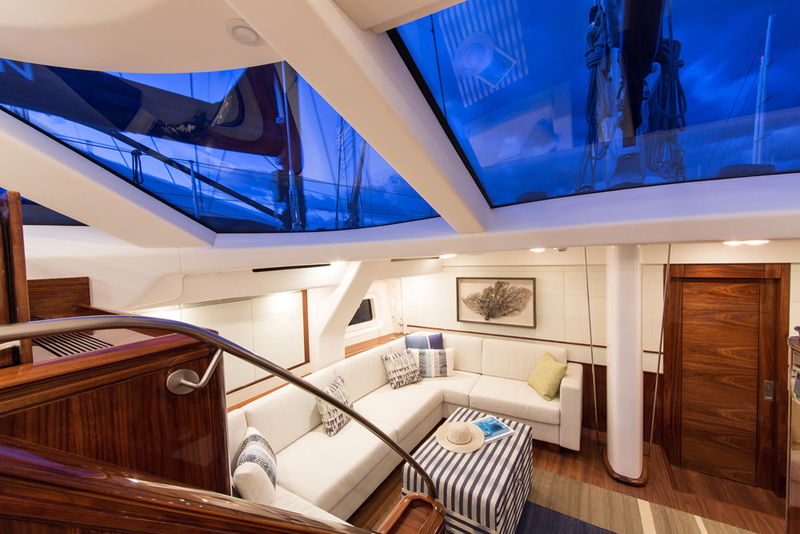 The cockpit is semi shaded featuring a retractable hard top Bimini, plenty of comfortable seating and 2 alfresco dining options. 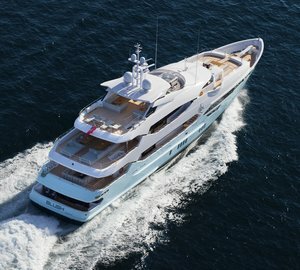 Further aft are the dual helms, followed by 2 large sunpads and plenty of additional deck areas, plus built in rail seats. 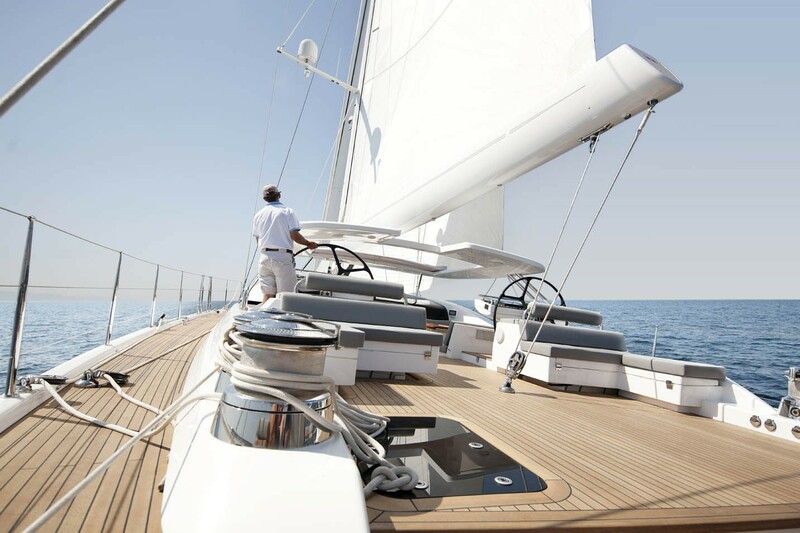 The yachts flush teak decks make walking forward effortless and safe. 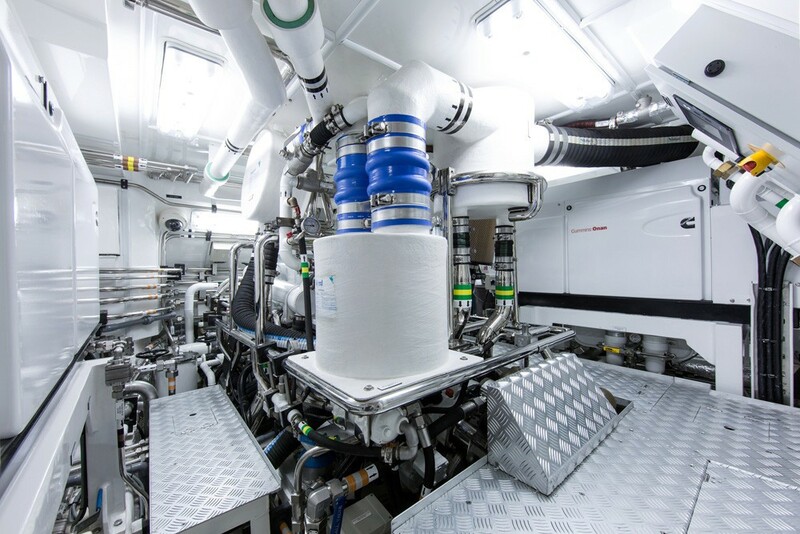 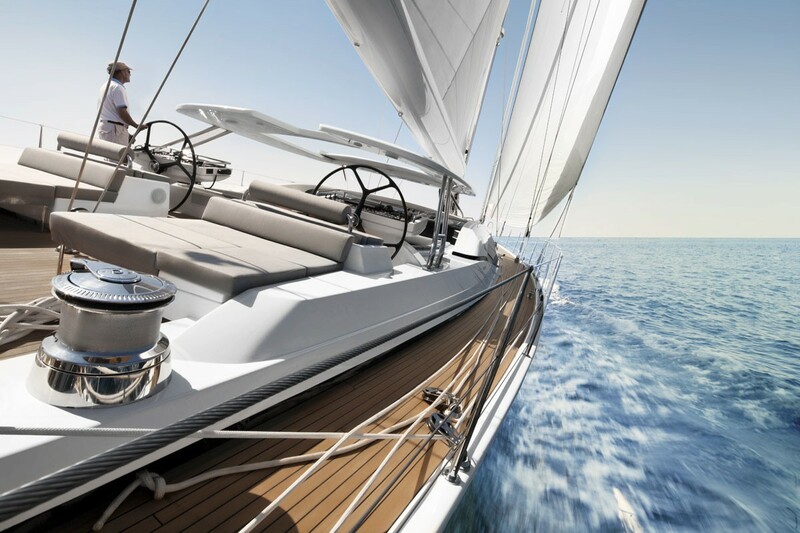 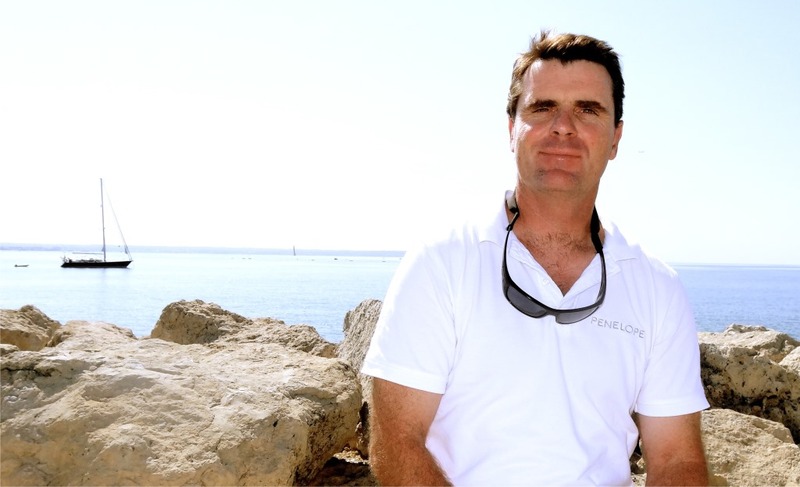 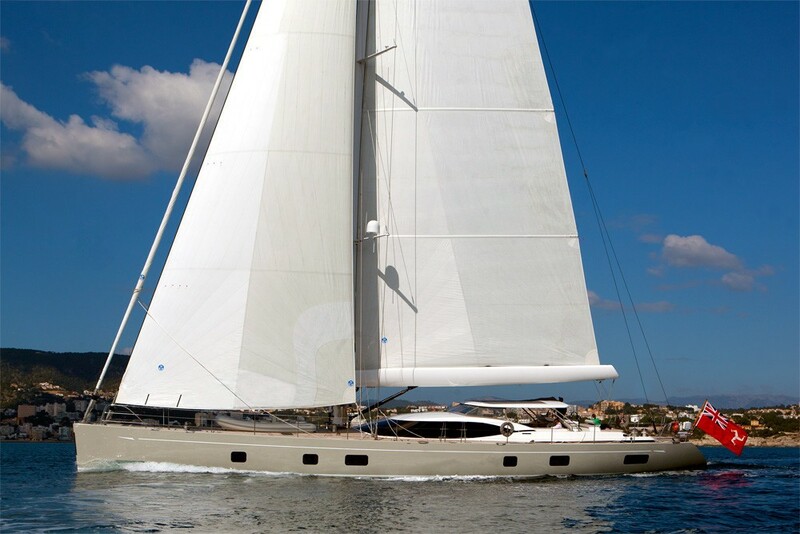 Luxury sailing is run by a single QSM 11 diesel engine. 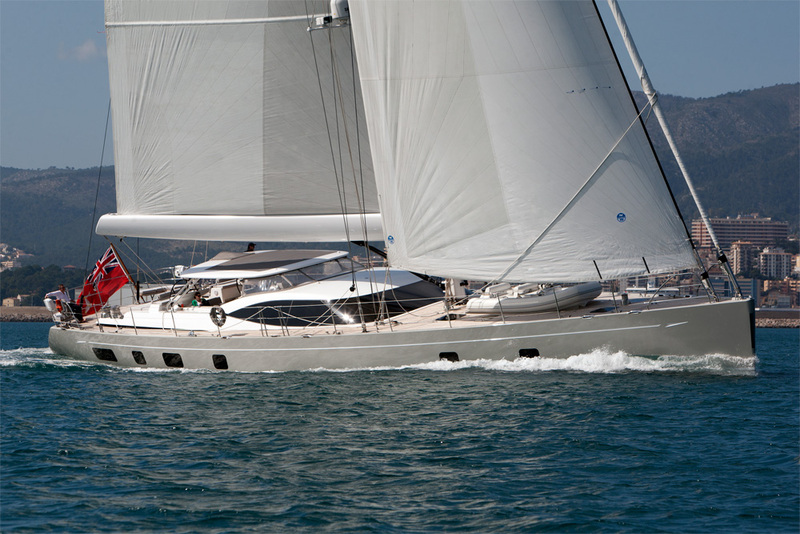 The second Oyster 100 luxury yacht PENELOPE is built to comply with MCA requirements. 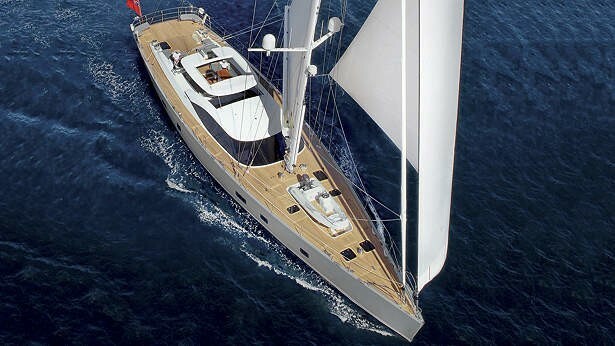 She features a beam of 7.7m (25ft) and an aluminum hull. 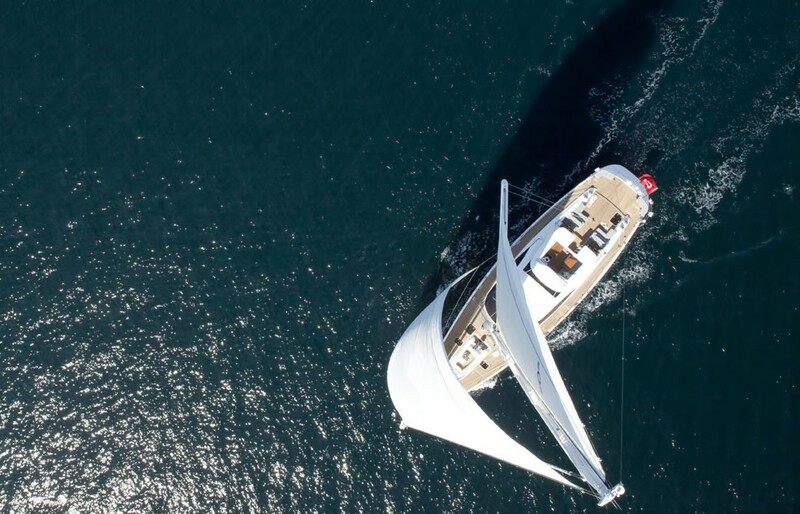 Her sleek design is powered by 493 square meters (5307 square ft.) of Spectra sails. 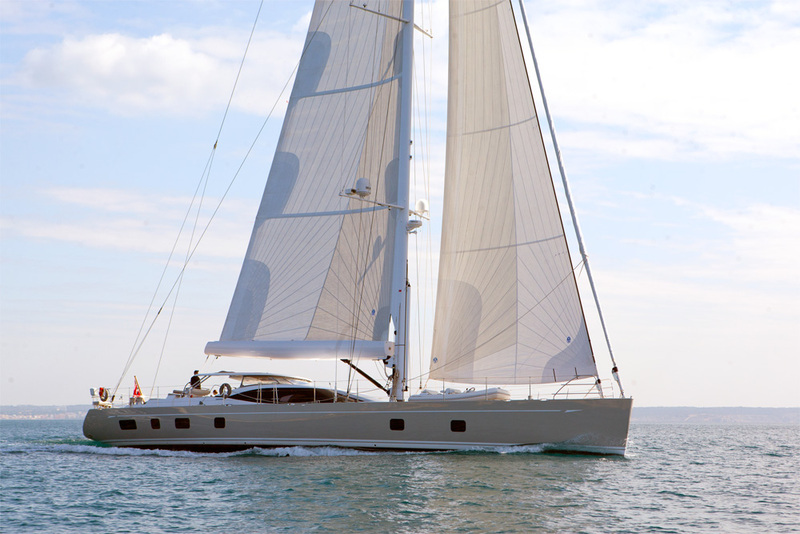 Sailing sloop PENELOPE offers deluxe accommodation for up to 8 guests in 3 en-suite cabins. 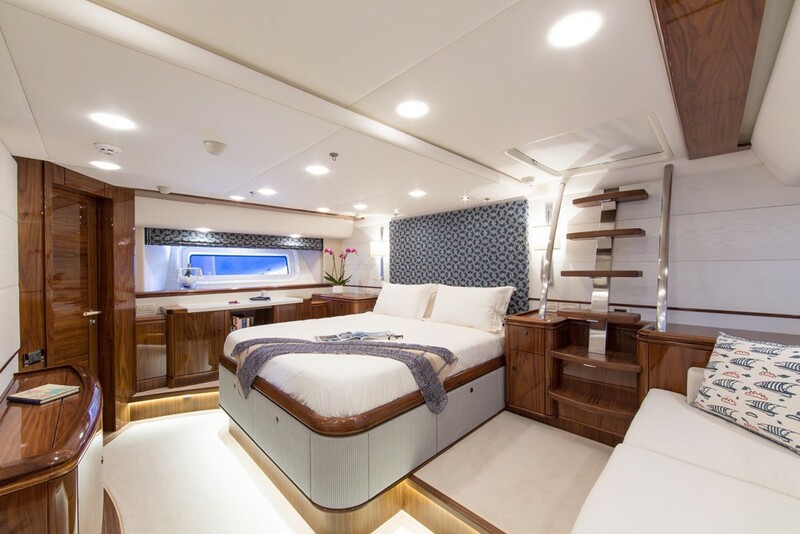 The master stateroom is aft and full beam of the yacht, featuring a center lined king size bed, sofa and vanity. A further 2 cabins offer side by side twin beds, with the option of conversions to doubles, both guest cabins also offer an upper Pullman berth. 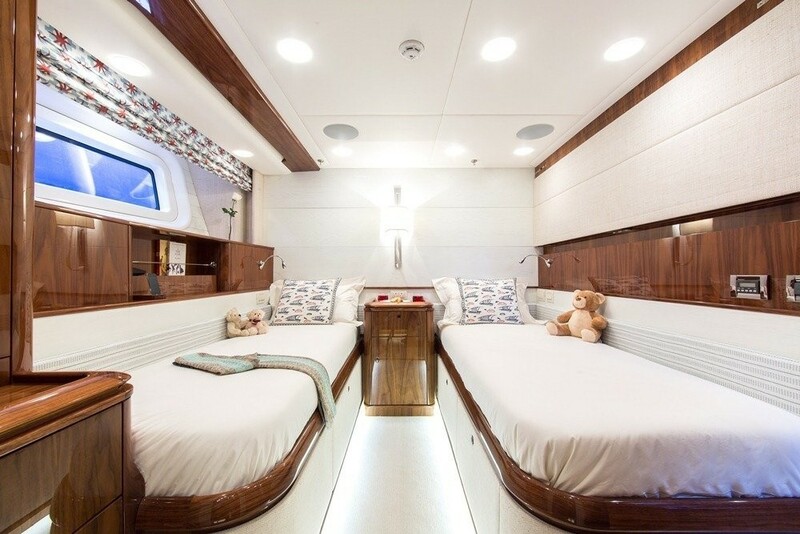 Each cabin is light and airy, with a tasteful modern décor. S/Y PENELOPE offers full air conditioning throughout.